Running a sheet for your friends is thankless work. Some guys “get it.” Most will make you work a little harder to sort out who is showing up and who isn’t. All the calling, texting and record keeping is a hassle and you end up with a short bench one week and too many guys the next week. To dial it in to the “perfect skate” was the challenge we wanted to meet. 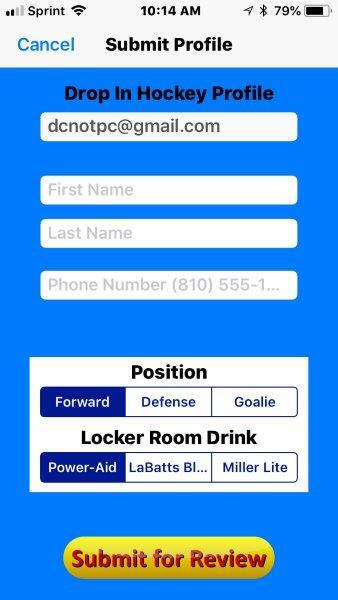 After trying a variety of websites we developed this mobile app to run out skates. With this app we make it easy. All you need to do is build you list of available skaters and have the skates in the app and it does all the hard work for you. One thing we were amazed about in this process is how the skaters not only love the system, they enforce your rules for you! 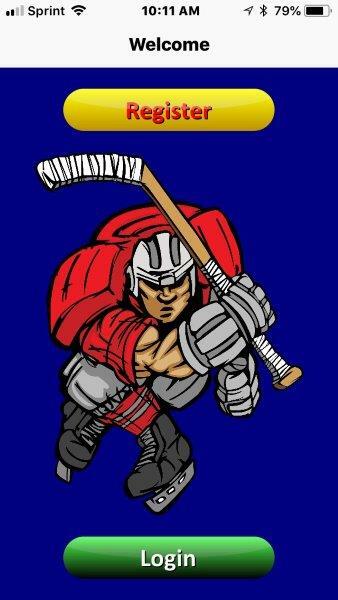 The Player selects Forward, Defense or Goalie on their profile, which can be changed by them prior to booking a skate. They also select Beer, Light Beer or Sports Drink. We keep this generic, so you can select your preferences with the rink. You can suspend players. It is important to have the right mix of players that get along and have fun. It is ok to un-invite someone who isn’t a good fit. Book up to six skates per month. We figure that one sheet a week will run into five on some months, so we give you an extra for those special occasions. Assign the player who whines the most to be a Coach. The Coach can assign jerseys and mark players paid. 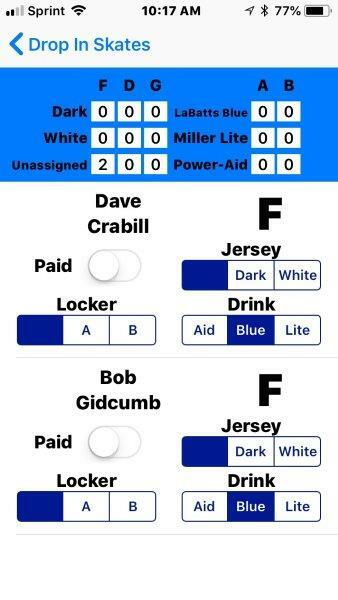 We run with two Coaches for our skate, a skaters wife deals with the money at the door and places the beer order with the rink. A separate Coach sets up the teams. The wife gets gas money for the hassle and everything runs super smooth that way. To get your own Private Skate app we have a plan for you. We will build and place in both the Google Play and Apple iTunes store your mobile app for just $300 and a monthly maintenance fee of $40. We kept the pricing low to make it easier for an organizer to get started. 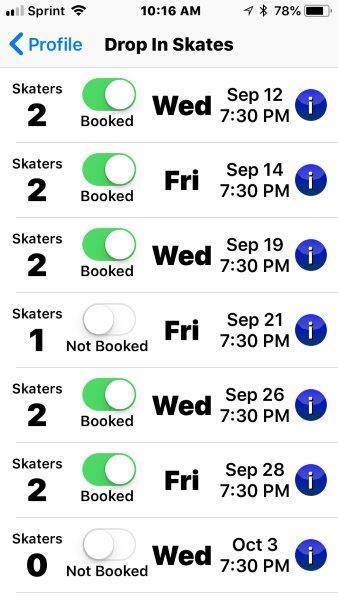 With just a few skates more each month you will recoup the cost of the app and the time savings is gravy. With your purchase of your app you also receive 500 cards to hand out to build your list. We are confident that if you follow our system and plan that you will enjoy less stress for your skate, have a consistently “perfect skate.” All with way less time and hassle on your part.